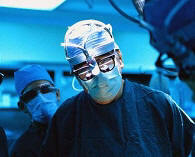 He's a world-renowned specialist chosen for his expertise in this kind of operation . . . So are we. 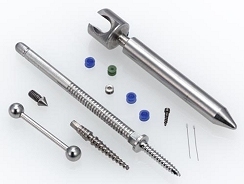 At American Micro, we understand how much is on the line when it comes to manufacturing medical devices implants and instruments.� That's why we have developed special manufacturing methods using high-precision technologies, Swiss machining and Electrical Discharge Machining (EDM). These capabilities allow us to manufacture extremely small and accurate components in stainless steel, titanium and corrosion/microbial resistant materials. With full design, engineering and prototyping capabilities, American Micro can work with your product development team to perform design for manufacturability studies, pilot production runs and full-scale production. 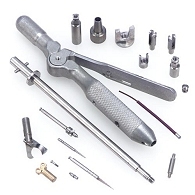 Our exhaustive SPC, metrology and quality systems assure that your medical or dental components will satisfy the demanding requirements of the health care and surgical profession.